FillFast RV Metal Remover + Water Pre-Filter System with patented MetalXtract Technology. 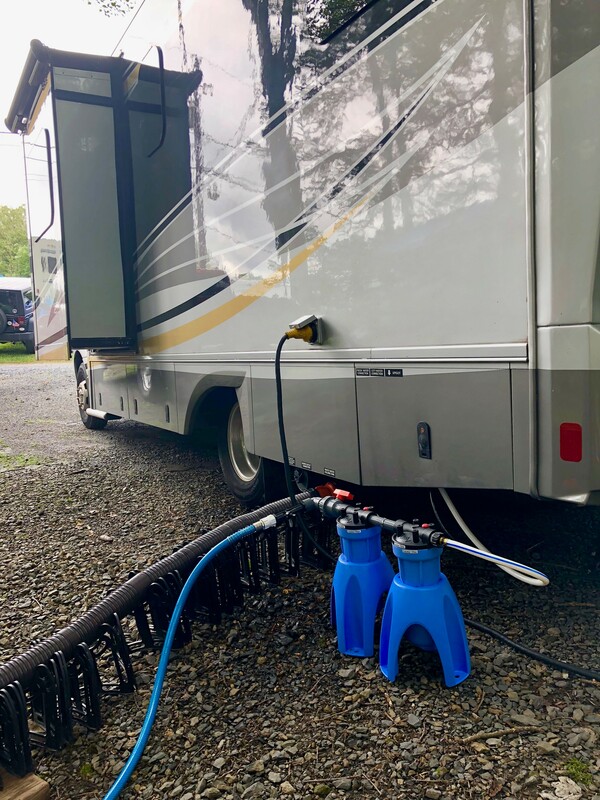 FillFast uses a MetalXtract filter and a Carbon Filter to pre-filter and remove up to 90% of stain-causing metals from your RV. Prevents staining of all surfaces including sinks, showers, and toilets. Perfect us is to pre-filter all water. FillFast prevents both staining and water discoloration. Treats up to 50,000 gallons depending on quality of source water. Once set of Filters and venturi are included. Hoses not included. The FillFast RV Replacement Filters include one Patented MetalXtract Filter and one Carbon Filter. FillFast RV Water Filter System with Patented MetalXtract Filter. Hoses not included.